Decomex Balloon serves the world of balloons markets through a network of Balloons Wholesalers, Party Manufacturers and Distributors. Decomex Balloon products carried by our business and distribution partners depend on their activity and local or regional needs. We support businesses that offer value-added balloon concepts and bring ideas to customers to help them build their businesses. A business partnership with Decomex Balloon is a beneficial relationship. Our program provides clearly defined requirements and benefits, as well as a range of options. This means you can find a partnership arrangement that works best for your business. 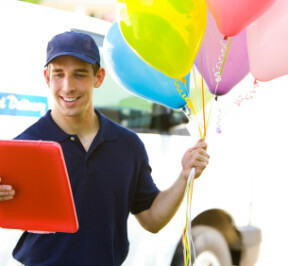 Our collaborative partnerships combine best of products and services to deliver complete solutions for balloons that provide true customer value. Decomex Balloon enhances the business values through Branding & Marketing Supports, Balloon Designs & Custom Imprint, and Retail OBM & OEM Packaging. We offer the range of balloons business concepts that include Balloons for Event Decorations, Balloons for Parties & Celebrations, Balloons for Funs & Kids, Balloons for A&P Programs, Balloons for Gifts and Balloons for Education which definitely will meet your business requirements. • We bring ideas to customers to help them build their businesses through our Creative Solutions Department. • We provide creative balloon printing and packaging solutions to our customers. • We optimise the supply-chain solutions to our customers.